3 can pass to 1 if free. 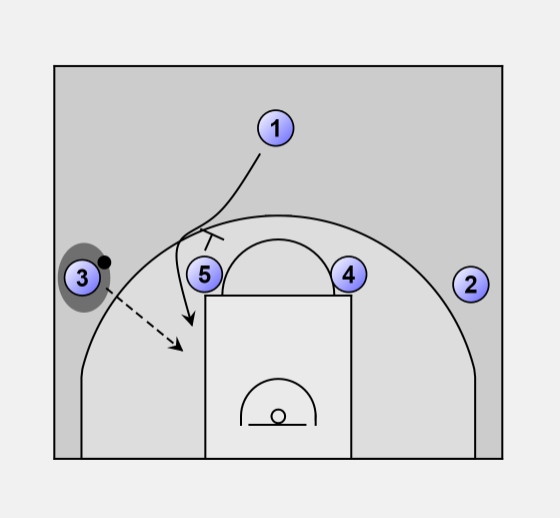 5 gets pass from 3. 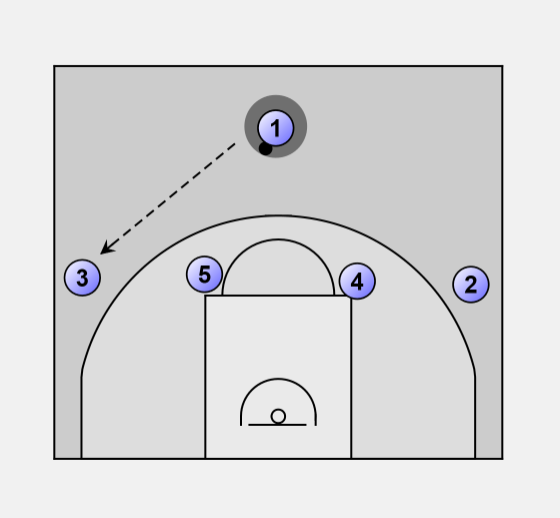 1 sets a screen for 4. 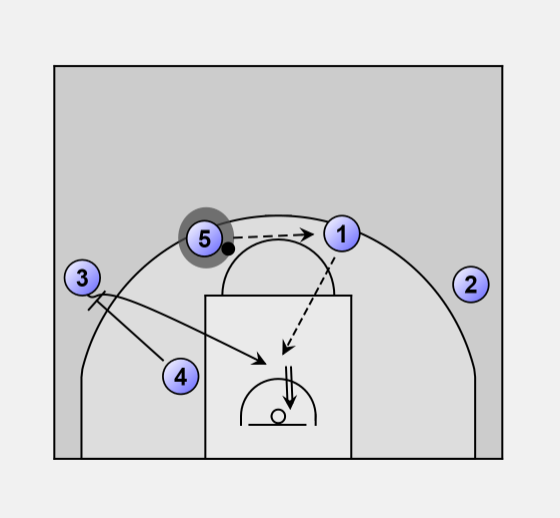 4 sets a screen for 3 who cuts to the basket. 1 passes to 3 if free.